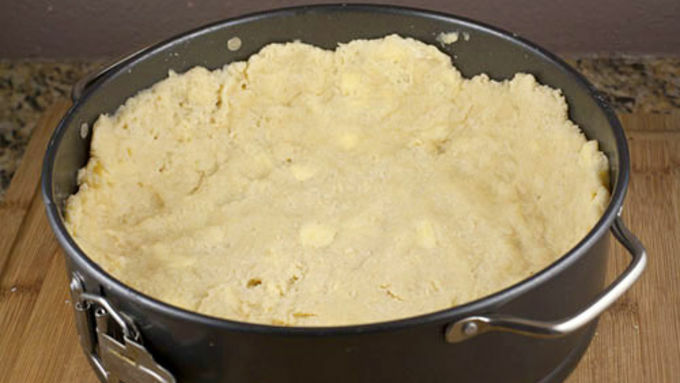 Combine flour, sugar, baking soda, baking powder, and salt in a large bowl. Cube cold butter and then cut butter into flour mixture using fingers until it's in pea-sized lumps. Reserve 3/4 Cup of the mixture for a topping later. In a separate bowl, combine sour cream, eggs, and vanilla. Then stir that into the flour-butter mixture. Stir together until it forms a loose dough. Pack loose dough into a springform pan. Try to get an even thickness on the bottom and press the dough about 1 inch up the sides. 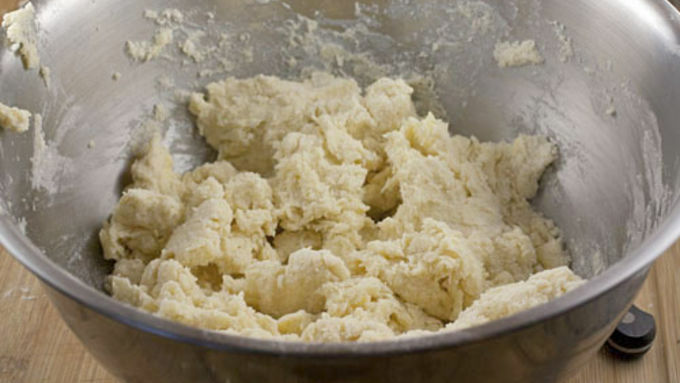 If your fingers are sticking badly to the dough, use plastic wrap to help shape it. 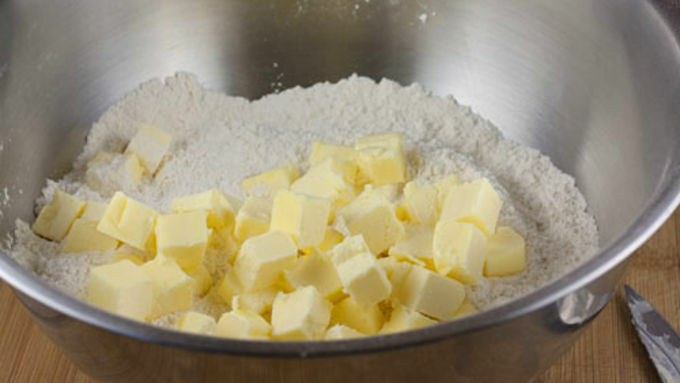 In a medium bowl, use a hand mixer to mix together cream cheese, pumpkin, eggs, sugar, and spices. 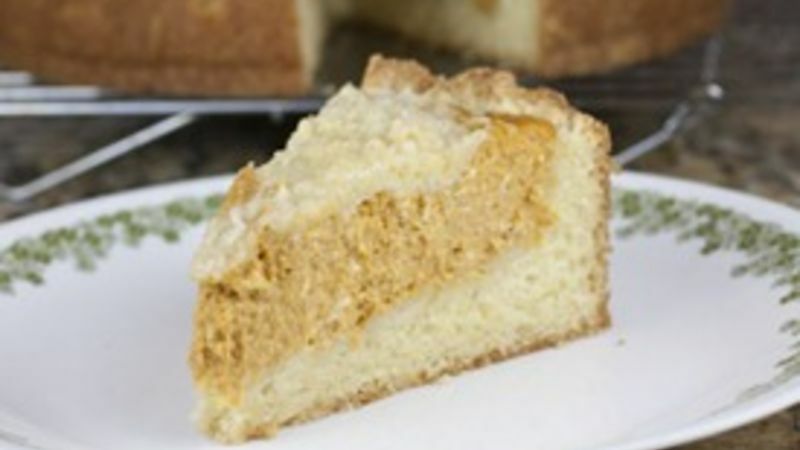 Pour pumpkin mixture into the coffee cake shell. Sprinkle on reserved crumb for a topping. Bake coffee cake at 350°F for 55-60 minutes until center is set and it's browned around the edges. Remove and let cool on a wire rack for 10 minutes. 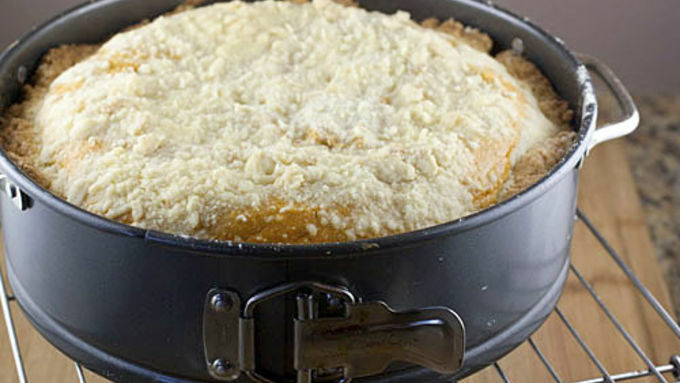 Remove the cake from the springform pan and serve or let cool to room temperature and store in the fridge! What’s better than a warm slice of coffee cake on a crisp fall day? Seriously. Do you know the answer? I do. The answer is a warm slice of coffee cake that’s been filled with a creamy pumpkin pie filling. 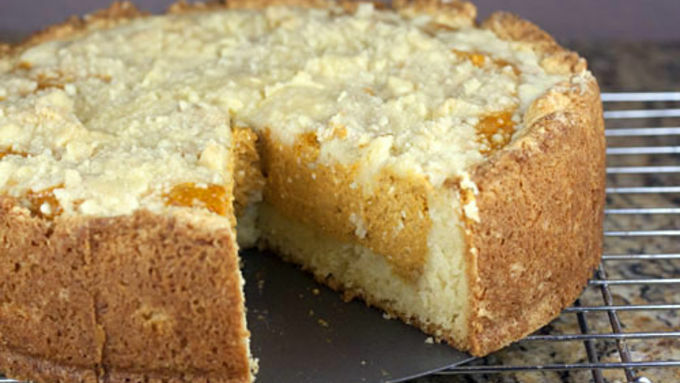 Pumpkin Pie Coffee Cake is as good, if not better, than you are thinking it might be. The good news is that it’s also a lot easier to make than you might think. One note on this: Be sure to purchase 100% pumpkin. 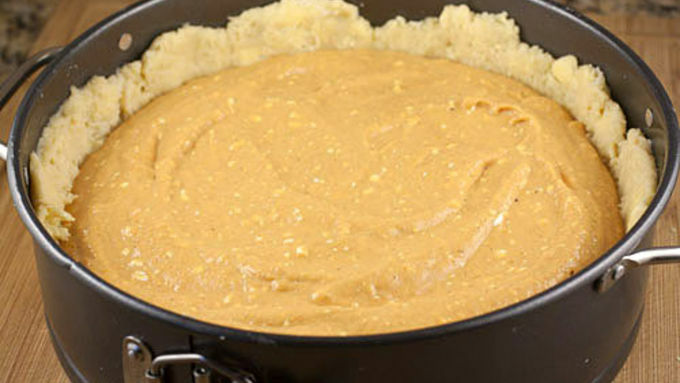 Don’t get the canned pumpkin pie filling. Slicing into this pumpkin pie coffee cake is a real treat. It’s fun to see this nice thick layer of pumpkin custard on top of a soft and rich coffee cake. This will be no surprise to you, but this is really good with a cup of coffee or tea. It’s equally good with a scoop of ice cream. Heck. You could probably get away with eating it for breakfast! There's plenty of pumpkin recipes to get you through the rest of the season. Check out our fall-time favorites!